KMGH-TV (Denver) has a new football expert: Troy Renck, who now covers the Broncos for the ABC affiliate. 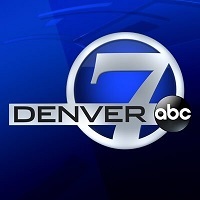 ICYMI: I have joined @DenverChannel as their #broncos insider. I loved working at the @DPostSports , but it was time for a new challenge. Before joining the station, Renck spent 14 years as a beat writer at The Denver Post, where he covered the Broncos and the Rockies of Major League Baseball. Follow KMGH on Twitter.